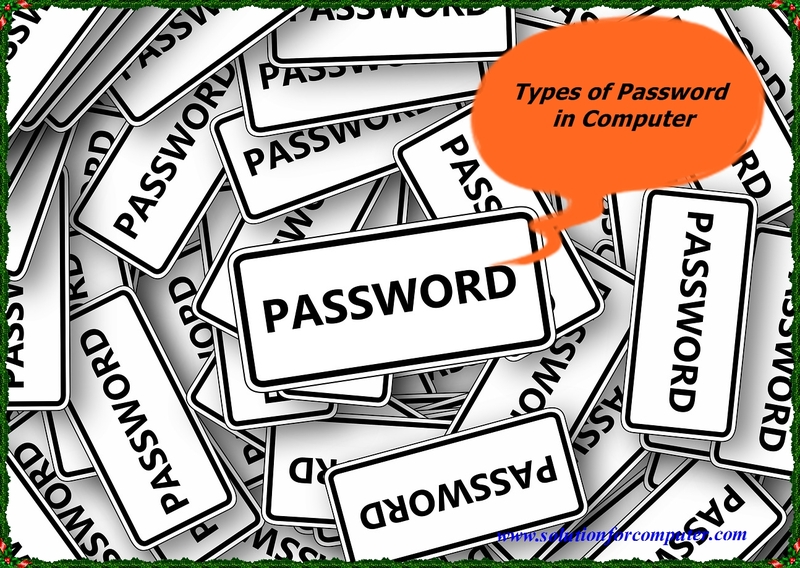 Power on Password (POP): - Protects the system from being powered on by an unauthorized user. The POP must be entered before an OS will boot. 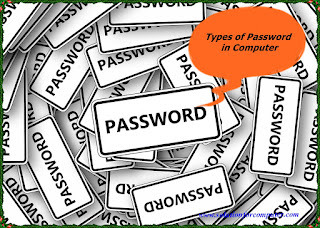 Hard disk password (HDP): -Protects the information on your drive from access by an unauthorized user. If you set an HDP, other cannot access the data on your hard disk without knowing the password, even if the drive installed on another system. Supervisor Password (SVP): - Protects the information stored in the bios setup. The svp must be entered in order to get access the BIOS setup and make changes to configuration settings the SVP is stored on the motherboard in a specialized type of memory and cannot be accessed or reset if lost.